Av Cesareo Pondal 27, 15117 Laxe - A CoruÑa, Spanje. 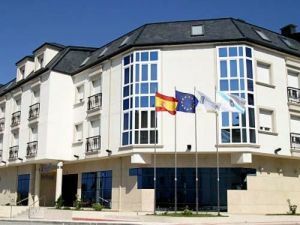 Hotel next to the Laxe beach. 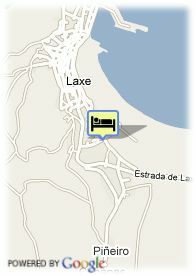 This hotel on the coast faces the sea on Death Coast, on Laxe´s boardwalk, just few steps from the sea. Thanks to this special location, its 32 rooms offer wonderful views along the seaboard and the sensation of a great natural light. Laxe is a coast city, with one of the biggest beaches of the entire Death Coast. Just in the front of the hotel Playa de Laxe it can follow the boardwalk that links the beach with the port. The natural landscape that surrounds the city of Laxe allows to enjoy the practicing of sports as hiking, biking or riding, fishing, navigation, diving, surfing etc. The region is also recommended to those looking for the peace of those beaches, which, difficult to be reached, are not very frequented. The local menu, as for a fishing Galician village, is based on the fresh products coming from the sea.